This course will be an eye-opener and it will provide an opportunity for keen children to explore the possibility of technology and creation. We emphasize playing to learn, creativity and design thinking. Students will build fun and exciting projects with Squishy Circuit, Snap Circuits, Arduino, BBC micro:bit, and more. 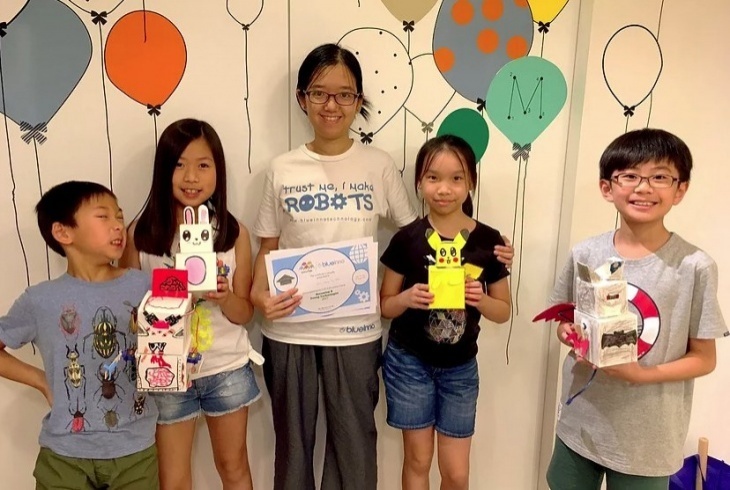 At the end of this course, participants will bring their own designed robot home. Image Credit: Blueinno Technology Ltd.
23 April - 26 April, time: 09:00-11:00.